The Roll of Honor will contain brief bios and photos of all of the veterans in our area or from other areas if somehow connected to the community, as we can obtain the information and photos, and have time to post it on the site. Please let us know of anyone that you have information about. They will be posted in alphabetical order by last name. If the person died in combat or while still serving in their respective service, there will be a gold star by the name. If they have since died after their service, there will be a black star by the name. If, based on current information, the person is till living, there will be no star by the name. he was sent to France to fight in the campaign in the hedgerows there. He eventually wound up in Germany where a German family kept him from being captured. He was awarded the Purple Heart for wounds received in combat. Cecil died on July 28, 1995. 1st Lieutenant James Curtis Atkins was the son of Thomas Cecil Atkins. 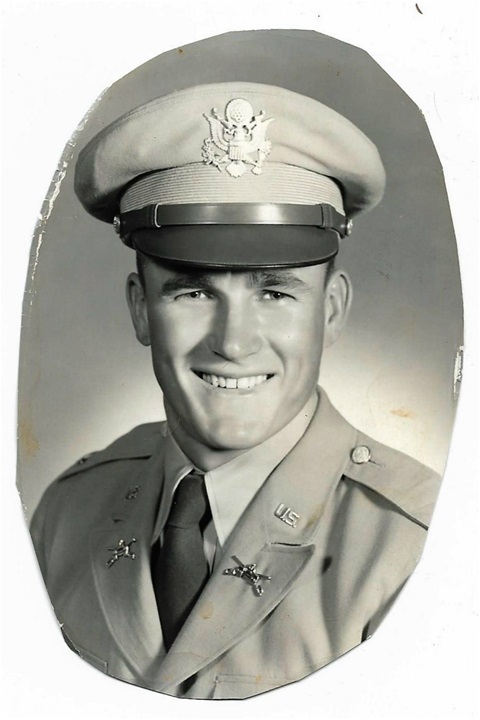 He was born April 8, 1932 and died in a tragic plane crash while serving with the US. Army in Korea on September 21, 1956. He had graduated from Tallassee High School, then went on to Auburn when it was still Alabama Polytechnic Institute. He was enrolled in the ROTC there and was commissioned as an officer in the U. S. Army after graduation. He was trained as a pilot for the L19 Bird Dog observation plane like the one pictured below and had volunteered to fly his commanding officer to a destination in South Korea when bad weather caught them and caused their plane to crash into a mountain. Rufus A. Clayton was born March 17, 1922. He was raised in Red Hill and attended Red Hill School. 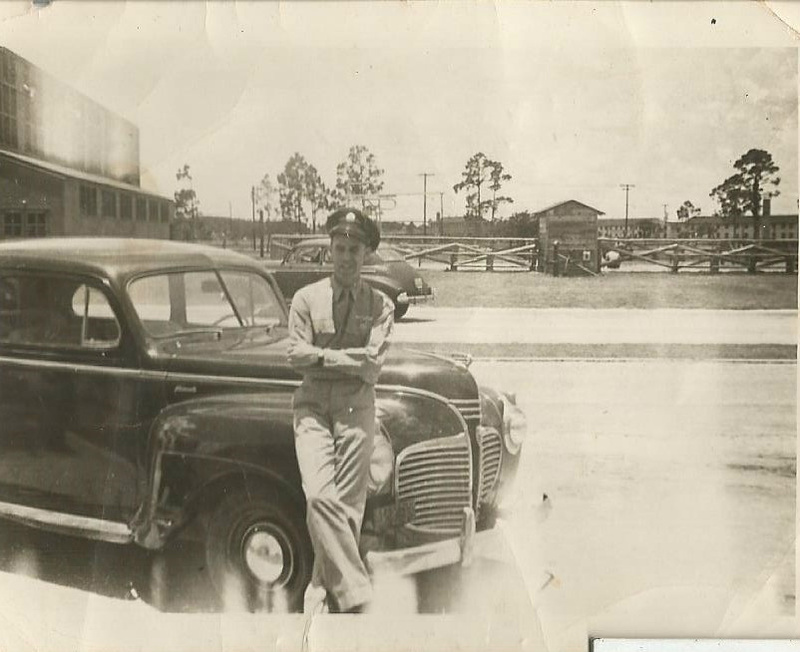 He entered into active service October 28, 1942 at Ft. McClellan, Alabama- Private First Class Infantry. He did not have to go being he was the man of the house and had two dependants (his mother and youngest sister). He was trained at Camp Barkley, Texas. Before he was to be shipped out, he passed out during inspection. He had pneumonia and was hospitalized and didn’t get to leave with the men he first trained with. Once recovered, he was sent to Camp Bowie, Texas. He served as a medic for a while. 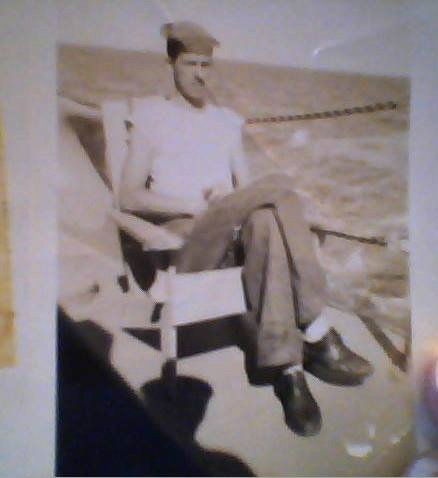 He shipped out from New York on October 14, 1944 for the European Theater, arriving October 26, 1944. Decorations, etc. : American Service Medal; World war II Victory Medal; European African Middle Eastern Service Medal with Bronze Star; Combat Infantry Badge; Lapel Button. As one of the infantry regiments of the 4th Division, the 22nd Infantry spent eighteen days in November and early December 1944 in the Hürtgen Forest. In a battle many believed mattered little in the big picture, the 22nd suffered 2773 casualties, or 85 percent of its normal complement of 3257 soldiers to take one village and 6000 yards of forest. Each rifle company went into the action averaging 162 soldiers. By the end of the battle, losses in the rifle companies reached an estimated average of 151 percent of their original strength. Although the 22nd Infantry suffered these very heavy casualties, the United States Army's practice of replacing casualties while units were still in combat kept the unit from ever falling below 75 percent strength. Total replacements amounted to 1988 soldiers. Although massive amounts of artillery fire assisted the forward movement of the regiment, the infantry still had to take the ground. The 22nd Infantry entered the Hürtgen Forest and the regiment fought its way through the woods virtually unsupported in a battle of attrition against three German divisions. Although the 22nd suffered more casualties than any other regiment in the Hürtgen, it lost no ground not immediately recovered. During the battle the 22nd captured 764 Germans. The evidence suggests the regiment kept fighting as long as it contained soldiers who had trained together in the United States or who had significant previous combat experience within the regiment. The backbone of the regiment were the soldiers, officer and enlisted, who had trained together in the United States. November 23, 1944-Thanksgiving Day was the only day during the 18-day battle that hot rations were served. Turkey sandwiches and luke-warm coffee was carried up to the front lines. After 18 days the battle in the Hürtgen Forest was over for the 22nd. During the battle, every rifle battalion and company commander was lost, with two companies losing four commanders and another six. At the roll call in Luxembourg, each rifle company had fewer than ten soldiers who had begun the battle on 16 November. Rufus sent letters home during the war, many of them said, “mama please pray for me, please pray that I can live and come home”. Also he told of walking through Crailsheim, Germany and a sniper shot and killed his Lieutenant who was standing right beside him. When he was in France, he said there were children playing near him in the streets and then fighting began all around; the children ran to a haystack for cover and then the haystack was struck and blown up. He said they would be so exhausted and sleep deprived that while in France, villagers would open their homes to them and they would just fall into beds with their dirty boots and uniforms on-he felt bad about doing that but he was grateful to be able to rest in a bed. He also told of coming face to face with a young German who was wounded, he was thinking how he hated to kill him but his gun was aimed right on him-the young enemy fell over dead so he didn’t have to. Those images and so many more never left him; he relived them so many times. He was on the Rhine River when they got the news the war was over. He finished his service on February 3, 1946 and was discharged at Fort McPherson, Georgia. He never got over the horrors of war and eventually took his own life on October 29, 1950. Willard Darby was born on December 17, 1916 and died on August 9, 2007. He married Myrtice Griffith and lived in Red Hill most of his life. 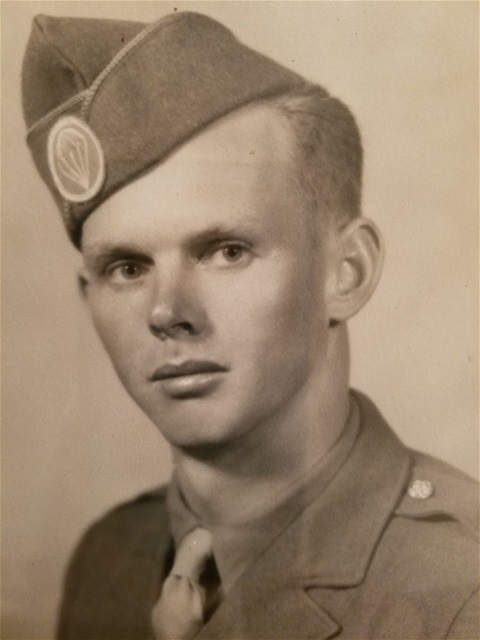 Willard served his country in World War II as a U. S. Army Paratrooper. He made 10 jumps during his wartime service. Probably his most perilous period of service was during the Battle of the Bulge in Belgium. This battle lasted from December 16, 1944 to January 25, 1945 and was considered by many to be greatest American battle of the war as Germany made one last frantic attempt to push the allies back to the English Channel. After his retirement, flowers and shrubs became his hobby and many of his Japanese maples and flowering shrubs can still be seen along the 900 block of Martin Dam Road. James Preston Graham, "Jim," son of John W.D. & Mary Emily Taunton Graham of Red Hill, born 16 June 1907. He grew up in the community, married Jewel Pratt, of Tallassee, and fathered 2 daughters. He enlisted in the Navy during WW2 and served on an LSD in the Pacific. He manned an anti aircraft gun as well as being the ship’s cook. He was born on 7/15/1919 in Red Hill, Alabama and at the time of this entry into the Roll of Honor had just past his 97th birthday. 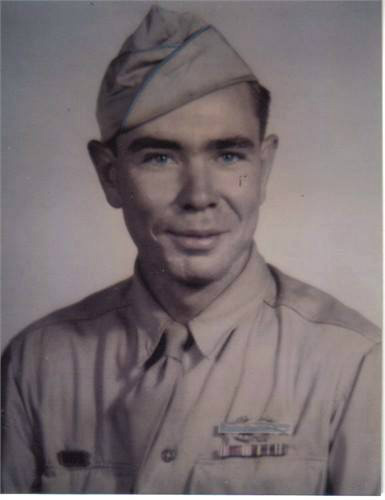 He had been drafted in the spring of 1944, and became one of Red Hill's many contributions to the “Greatest generation.” He reported for duty on the 9th of May, 1944, at Fort McPherson, Georgia. He was assigned to the Army Air Force and sent to Biloxi, Mississippi for basic training. From there he went to Stinson Field near San Antonio, Texas. He then went to Spokane, Washington for further training in the electrical power distribution needs for military bases. After this training, he returned to Stinson Field, and was given a weeks leave back in Red Hill. In order to get back to Red Hill he had to ride in an empty freight car on a train that was hauling a car load of high explosives. He and his buddy were placed in the empty freight car that was to prevent the explosives from destroying the entire train by having their empty freight car serve as the separator car from the rest of the train's more valuable cargo, should the explosives detonate. But he and his buddy made it back to Alabama safely and he was able to spend a week in Red Hill with his new bride, Myrtice. Below is a photo of Arvel and Myrtice. After his week at home he returned to Stinson Field for the beginning of what would be his eventual round the world trip. From Stinson Field, he boarded a troop train for Hollywood, California. He was able to spend some time at the nearby USO headquarters in Hollywood before boarding the USS General William Mitchell at San Pedro, California. This troop ship took him Hobart, Tasmania, where it docked on Christmas Day of 1944, and remained in port for a few days. He was able to get off the ship and tour the city. As he was walking the streets of Hobart, a man came up to him and invited him to come home with him and have dinner with him and his family. Arvel accepted his invitation, and still remembers the friendliness that these Australians showed him. He said the man's wife volunteered to write Myrtice for him and tell her about his having had dinner with them and that he was doing well. He was very much appreciative of this family's extension of hospitality and helpfulness to a lonely American serviceman. He had just had about 20 letters from Myrtice “catch up” with him in Hobart, and knew that this lady's letter would be received by Myrtice before any of his letters would. From Hobart, Tasmania he sailed on to Bombay(todays' Mumbai), India. From there a train took him to Calcutta, then it was up the river Ganges and eventually to his Army Air Force base in northern India. After being there for almost nine months, he remembers the base public address system speakers announcing the surrender of Japan in September of 1945. Their main task at the base after the surrender of Japan was the disposal of hundreds of C-47s that had been used to “fly the hump” of the Himalayas to ferry supplies to the forces in China. He was given a hammer with a sharp pointed end and had to destroy the glass lenses on all the instrument gauges in the cockpits of these planes. He said he really hated to destroy perfectly good equipment. He actually made himself a working radio receiver from some of the parts he was destroying. While he was destroying the gauges, other men were removing the engines. After the engines were salvaged, a large pit was excavated for the burial of the remains of the aircraft. After demolition of the base equipment, they were sent back down the Ganges to the Hugli river delta below Calcutta. There they awaited the arrival of the troop ship General M. L. Hersey. 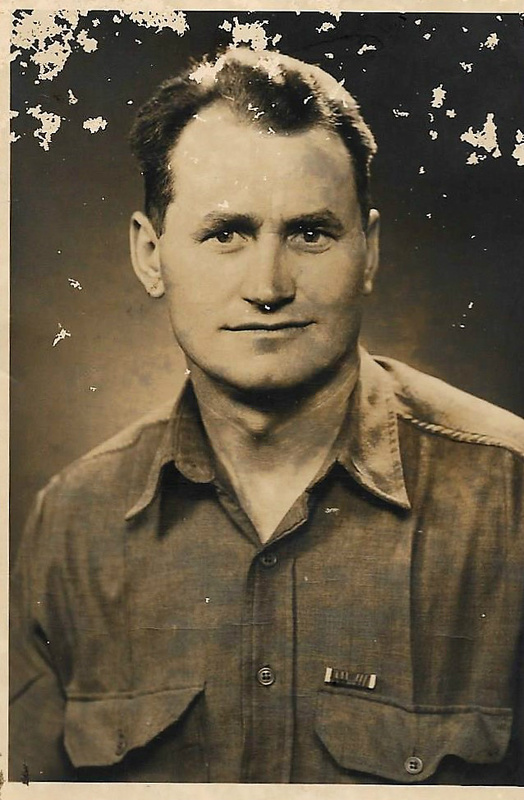 On Easter Sunday, April 21, 1946 he went to church on the banks of the Hugli river in India. They had set up a church service for those who wished to attend, with a preacher from Texas conducting the service. They had to wait for the tide to come in before the General Hersey could get up the river to their staging area. From the banks of the Hugli river in India, they sailed to Colombo, Ceylon (today's Sri Lanka) where they picked up more troops headed for home. They left Colombo on April 28, 1946, went through the Suez Canal, with a stop in Alexandria, Egypt, and then on through the Mediterranean, passing Gibraltar, and arriving in New York on May 21, 1946. Upon arrival in New York, it was discovered that the trains were on strike. He said he never liked unions from that point on in his life. But the Army Air Force came to his rescue, putting the troops on a bus, with a baggage truck following along behind it, and carrying them to Atlanta. His brother-in-law, Woodson Ingram, his sister, Dallie Griffith Ingram, and his wife Myrtice drove to Atlanta to pick him up. His homecoming with his wife had to be a wonderful event and he was back in Red Hill, Alabama by the end of May, 1946, from a two-year long trip around the world, becoming, as far as we know, the first person from the community to do so. EDMOND TERRELL GRIFFITH, SR., served in the Civil War with Company F of the 13th Alabama Infantry, CSA. He was born September 11, 1843 in Meriwether County, Georgia. He enlisted in the 13th Alabama Infantry in 1861. He lost an arm in the Gettysburg battle in July of 1863, spent some time as a prisoner of war before taking the oath of allegiance to be paroled. He made the long arduous trek back to Red Hill, then called Channahatchee, He married Missouria Mullins sometime in 1865 and raised a large family. It was said about him that he could pick and shuck more corn with one arm than most people could with two. Arvel Griffith, described in a bio above, is one of his grandsons. He died April 18, 1918, in Channahatchee(Red Hill) and is buried in Refuge Cemetery. Below is a pic of him and his family in the late 1800's. 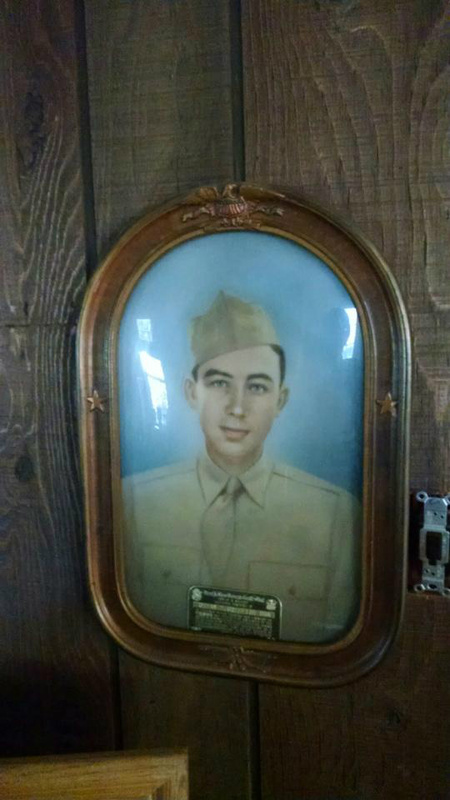 Othan H. Griffith was a Private in Battery A of the 60th Field Artillery Batallion, serving somewhere in northern France during WWII. 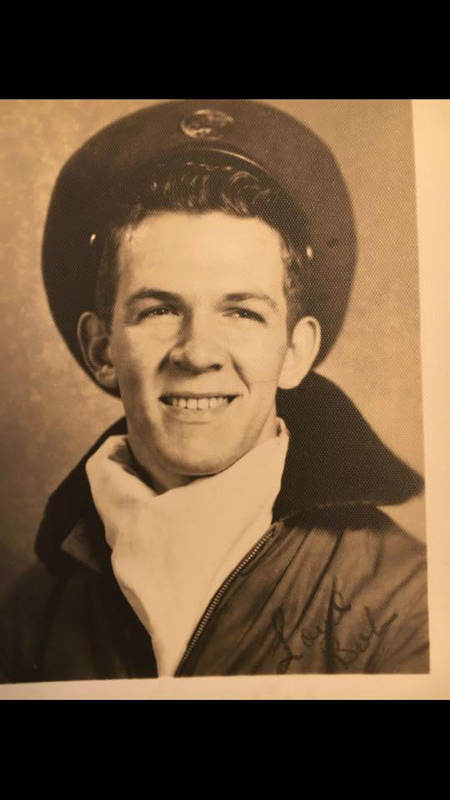 He was born in Red Hill, Alabama on October 11, 1924 and was killed in action at the age of 19 on July 24, 1944. 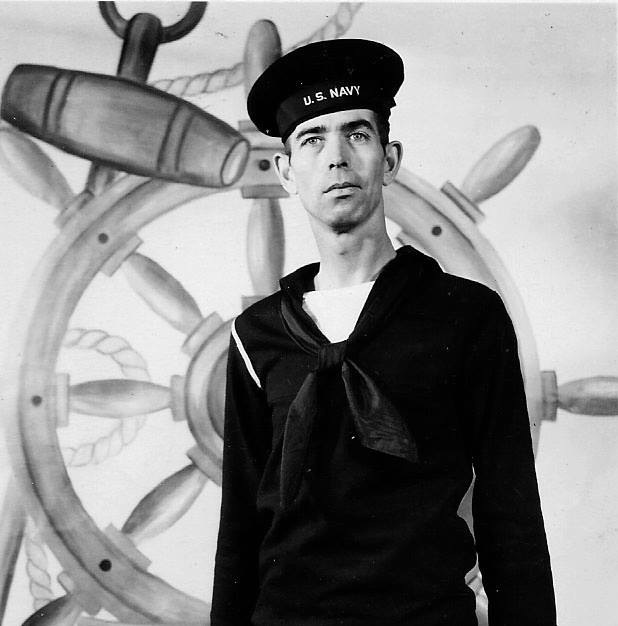 George Dewey Hall was a Seaman 2nd Class and served in the United States Navy during WWII. 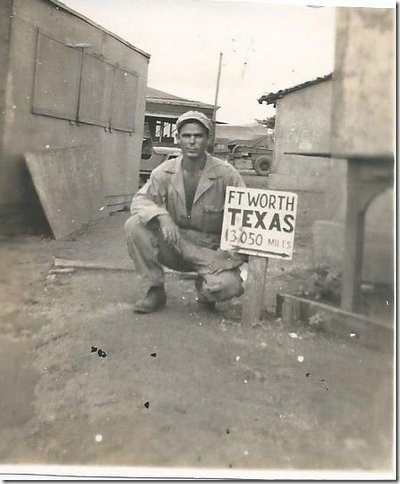 He was assigned to a SeaBees Construction unit in the South Pacific.Below are two additional pics taken when he was home on leave in 1944.